Sergeant Joe Schuengel was killed in a helicopter crash while returning to Spirit of St. Louis Airport in one of the department's traffic enforcement helicopters. He had dropped off several other troopers and was returning to the airport when, it is believed, that the Bell 206B helicopter ran out of fuel. Sergeant Schuengel was able to maneuver the aircraft to avoid nearby houses before crashing into a residential street on Horseshoe Ridge Road in St. Louis County. Residents and emergency crews immediately responded to the scene, but Sergeant Schuengel had been killed on impact. 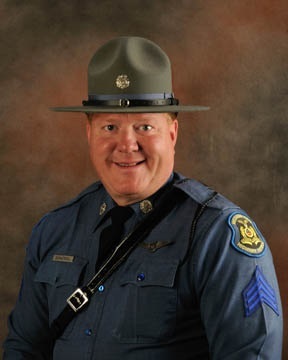 Sergeant Schuengel had served with the Missouri State Highway Patrol for 17 years. He is survived by his mother and three sisters. Rest in peace Sergeant Schuengel.